We are excited to table at Printed Matters twelfth annual New York Art Book Fair at MoMA PS1, from September 22 to 24, 2017. 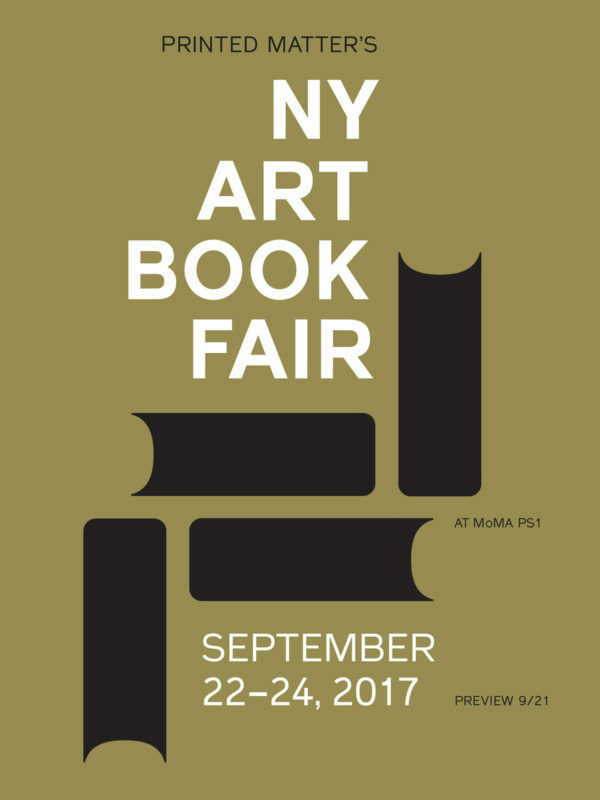 The event is free and open to the public, the NY Art Book Fair is the world’s premier event for artists’ books, catalogs, monographs, periodicals, and zines. We will be tabling with a variety of prints and publications in the Friendly Fire room, which focuses on the intersections of art and activism. Thursday, September 21 from 6 to 9 pm, at MoMA PS1 is the opening night preview. Which features special live performances on the steps of PS1 by Upstate Music, BLONDES and Alexis Taylor (Hot Chip). Entry to the Preview will cost $10, proceeds going to support NYABF17. The first 2,000 visitors to pre-pay online or to pay at the door (while supplies last) will receive a Ticket Edition by Emma Kohlmann.